Family Recovery: Finding a way out of the hurt. When someone in the family is a drug abuser, the whole family suffers. Planning family recovery is vital because often the focus is on the user. Family recovery has been ignored and undervalued. In my personal experience the family usually hurts more than the abuser. Also, as hard as it is to face, understand the part the family plays in enabling the addict. Drug use usually comes with all kinds of baggage such as lies, stealing, violence, absence of parent or partner, financial problems, health issues, and also drawing other family members into the chaos of a drug users world. We will look at these issues one by one, but before we do, I want to give you one word of advice. Never underestimate the violence and damage a drug user can do. Even though not all users are violent, they can be unpredictable, particularly if they know or suspect that you are going to change things and that their ability to use drugs may be jeopardized. Please take you own safety seriously. I made the mistake of thinking that I would not get hurt. I was wrong. Lies. Sadly drug use and lying go hand in hand. The user takes on a secret life which is hidden from everyone who is not using. Slowly the family members realize that there are things that do not add up. I have known users who lie about everything whether it is important or not. They often appear not to know or understand what is real and what is a lie. As I lived with a family member who was a user, I understand how frustrating continual lying can be. Stealing can be a way for any user to get what they need in the way of drugs if they do not actually have any cash or if the absence of money will be noticed. Shoplifting is very common for drug users and can become quite an elaborate game. Most drug dealers will take stolen items in place of cash. Violence is a very nasty side effect of drug use. 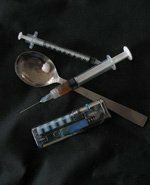 My experience with a meth user shows that they can become very violent very suddenly. After heavy meth use, the user can no longer get any effect from the drug and is known as a tweaker. Tweakers are extremely dangerous and unpredictable. If you have any doubts about your safety, make an escape plan. This is especially important if there are already any signs of violence. Absence of the family member can have an effect on the family, no matter if it is an absent parent, leaving the other parent to assume the role of both mother and father, or a son or daughter, whose absence can worry and scare the parents, particularly every time the phone rings. Financial problems surface sooner or later as the drug use progresses. Money for the drugs is taken from the household so rent and utility bills are not paid and drugs become more important than buying food. Health problems will catch up with a user eventually not to mention the health related issues that it causes to the family. Often the family or the user have no insurance, putting another strain on the family finances. Addiction Intervention may be an option for your family recovery, but please be aware of the possible danger in confronting an addict. Living with a drug user causes its own brand of chaos and it is hard to deal with this alone so a support system is essential. People may turn to their Church or their workmates for advice, but sadly these people often know little about drug abuse. I have known of pastors who have advised women with an abusive drug using husband to 'try a little harder' instead of understanding the danger she and her children were in. Where ever you get your support from, a support system is the first step towards dealing with the drug abuse and starting on the road to family recovery. Friends and family can be a big help in family recovery, but many people do not have close support and that is why I offer my family coaching service. If you have not already done so, check out the information on Addiction Recovery for the Addict	and learn about the drug ritual and what I term the replacement; The Drug Abandonment Ritual (DAR) process. This is a little understood area which keeps addicts trapped into continuing their using behavior. The more you understand about addiction, the better you will be able to make good choices for yourself and recovery for your family. Go here to read it (PDF), or right-click to download it.